Many have come out strongly against the Federal Government’s proposed reforms to early childhood education and care, primarily due to significant concerns on how the proposed Activity Test will affect the right of children to access early education. It’s been a tricky fight for a lot of reasons, but one of the big ones was the complete lack of data and numbers around the number of children and families likely to be affected. We’re getting somewhere now, after Education Department deputy secretary Jackie Wilson appeared before Senate Estimates on Wednesday night. About 45,000 families will be worse off under the Coalition’s childcare reforms because they pay childcare fees that are higher than the upper limits of the government’s new subsidy rate. A Senate committee also heard on Wednesday night that a further 37,000 families would be worse off because they did not work enough hours according to the new “activity test”. This breakdown comes after the government published modelling late last month that showed overall, about 184,000 families would lose support in the new childcare package that starts in July 2017, while more than 815,000 will be better off. Not insignificant numbers. It’s becoming indefensible for anyone with the interests of children of their families to advocate for this package – even with amendments – to be passed. Even with the information revealed in Estimates, huge question marks still remain over the nature of the Government’s much-spruiked by un-detailed new safety net. Hopefully we’ll learn more over the next few weeks. Advocacy gets tricky in the details. Fighting the good fight for ideals and foundational rights is not easy, but it’s clear. Calling out and ending the scourge of domestic violence. Calling for the release of children from immigration detention. Calling for a fair, equitable and funded early education and care sector. There are clear, consistent and compelling cases that can – and are – being made on these important causes. But there comes a time when you need to move beyond the headline, get people round a table and hammer out a plan. Tackling domestic violence will take generations of work in law, government, our schools and our homes. It will require challenging the very forces of society that encourage men to desire and exercise control over women. Ending Australia’s offshore detention program, and freeing children from their abject existences within it, seems less and less likely as global events and our own inward focus hardens our attitudes. Even changing the Government will not end this. As for early education – talk about getting lost in the details. I’ve devoted a fair chunk of my professional career in this sector to understanding, exploring and arguing with people on Twitter about the ins and outs of Australian early childhood policy. There are any number of people more intelligent, articulate and credible in this space – but I’m not exactly a newbie here either. But, confession time, I find the system inordinately complex, challenging and migraine-inducing. On a good day. Australia’s legislative, regulatory and political framework for Birth-5 education is a labyrinthine mess of funding streams, Federal/State & Territory overlaps, a system deliberately designed to foster profit-based competition, local government planning issues and an undervalued and underpaid workforce. They’re just the problems I could think of while writing this paragraph. The Productivity Commission Inquiry was designed – at least in part – to identify, and provide solutions for, these endless entanglements. Its success in this area is minimal at best, and given that the current Government has had wildly varied responses to its final report depending on A) who was the current Minister at the team (just a reminder, we’re up to 3 now since the last election) and B) which Department has responsibility for the sector (2 so far, 3 if you count going back and forth from Education). It’s telling that the new Minister, Simon Birmingham, has barely referred to the Commission at all since his elevation to the role of Education Minister. Advocating for a fair and equitable early education system is easy – right up until the point you have to get into the details. And it’s in the details that something very concerning is happening – and I’m not convinced the sector is ready for it. Senator Birmingham has recently floated the idea that ECEC services should charge by the hour. An innocuous suggestion by itself – most families don’t use a service for its entire hours of operation each day. But, taken alongside a number of other statements and policy directions of the last 6-12 months, it’s now clear that Australia’s early education system is facing an existential threat. Generalising massively here (which we have to because, again, the details make my head hurt), we can see the Birth-5 education advocacy push within Australia (and even internationally to greater or lesser extents) as moving along a continuum from formalised babysitting towards recognition as part of the formal education system. It’s a very simplified version, but we can generally agree that we’re moving towards a vision of being viewed in the same framework as primary, secondary and tertiary education – funded and available to all. The National Quality Framework (NQF) was a significant milestone on this journey. It was agreed to by both Coalition and Labor State and Territory Governments, and despite some tough talk has been continued under the Coalition Federal Government. I’m a vigorous defender of the NQF – and its now clear that the Government know it’s here to stay. Which makes their current policy moves dangerous. They’re not going to get rid of the NQF. They’re going to make it meaningless. Proposed changes, currently before the Senate, will see the current work/study activity test – essentially how much you contribute to the economy before your children are deemed worth of accessing an ECEC services – will become tighter locking out already marginalised children and families. The Secretariat of National Aboriginal and Islander Child Care estimates at least half the indigenous families now using childcare would fail the work and study “activity test’’. This erosion of access was the first major push-back. The current proposal to expect services to charge by the hour will push us back another step – except this one will be over a cliff. The Government’s moves, taken as part of a wider push, will see the sector slide back along the continuum. Rather than heading towards integration with the education system, Birth-5 education will become a service for parents like a trip to Monkey Mania. In fact, given the administrative nightmare hourly charging within the CCMS system will cause the sector, we may as well hand over to private indoor playgrounds. At least their system is set up for it. I can understand families being seduced by this idea – particularly given that Australia’s Birth-5 system is the most expensive in the OECD. But Early Childhood Australia have legitimate analysis that hourly billing will actually end up being more expensive in the long run. Regardless, I don’t actually believe that this argument is about the cost of ECEC. Despite a significant international shift in the last 5-10 years towards recognising and beginning to properly fund this area, the current Government just does not fundamentally accept the need for early education (with the exception of Preschool). Despite the clear evidence on return for investment, Australia does not appear ready to take this leap away from a workforce participation mindset towards a focus on society as a whole. The evidence is becoming overwhelming – just as with primary and secondary education, everyone benefits whether you personally have children in the system or not. It’s worth discussing primary and secondary education within the context of this (now extremely long) look at advocacy and details. The Gonski campaign was a fantastic example of education-based advocacy because it was clear, and actually managed to overcome a lot of the problem of minute detail. The Australian community at large could accept the details of the problem – and solution – because the argument about the right to accessing school is done and dusted. The reason Birth-5 advocacy doesn’t have a “Gonski”-style campaign is the right to access argument is still being waged. We’re still in the weeds of even getting the community to accept this needs to be funded at all, let alone how. The Government’s current approach reflects this – and therefore the “solutions” being proposed are a staggering case of missing the point entirely. Senator Birmingham is not wrong to point out that families may be paying a lot for hours they are not using. But this isn’t the point – the point is they’re paying a lot for ECEC full stop. Forcing services to upend their entire approach misses the point that the system needs to be structured and funded to support the attendance of all children, particularly those experiencing vulnerability. Senator Birmingham is not necessarily wrong to raise the issue of children attending 10-12 hours of formal learning a day. However, this firstly exposes a rather simplistic and inaccurate view of what is happening in ECEC services, and secondly his proposed solution is again entirely the wrong approach. If this is his concern, regulate services to provide shorter permanent hours of operation. Instead of opening to floodgates to Paid Parking Meter Childcare, let’s do 8.30 – 3.30. Heaven forbid the business community should have to be flexible to meet the education needs of children. The move towards a fair and equitable Birth-5 education system is under threat, and the details are the weapons. Small but significant policy changes that undermine the gains of the last decade. I’m worried that the sector isn’t ready for this, and that private operators in the space may actually seize on the proposed system. We need to be aware, and we need to force ourselves to keep up with the details. We may end up buried under them. Childcare back in education – but what will be the major changes? Newly-installed Prime Minister Malcolm Turnball has announced a major reshuffle of the Government’s ministerial positions, giving early childhood education and care its third minister in this term of Government. Childcare will now fall back under the umbrella of an Education Minister – a position now held by Simon Birmingham, a relatively junior Senator from South Australia. In general terms, this is of course a positive outcome for the sector. It was moved to the Department of Social Services (DSS) under Scott Morrison late last year, an apparent indication of the Government seeing it primarily as a workforce participation strategy. Including it in the Education department should continue Australia’s slow move to viewing early learning as fundamental to long-term success. This news is of course very new, and we don’t yet have any idea how Senator Birmingham will reshape the Education portfolio he is inheriting from Liberal warrior Christopher Pyne. But, it’s worth raising a couple of quick points/concerns in the wake of this announcement. Firstly, bureaucratic. The shift of childcare to the DSS would have required a significant amount of administrative changes and restructuring. This will now need to be transferred back to the Education Department – with all the challenges, difficulties and technical issues that will result. It may seem minor, but it will be an issue. Secondly, departmental. A lot of the “nuts and bolts” of childcare administration may still sit within the DSS, not Education. How well will this now work between the two Departments? This will be particularly relevant to the Child Care Benefit, and programs like the Inclusion Support Program. Fourthly, policy. Childcare’s move back to Education could (and I shudder as I type this) lead to another round of consultation with the sector. This would be following the pre-NQF period, the Productivity Commission, the ACECQA review, two Senate committees and the Government’s own consultation this year. Consultation fatigue doesn’t even begin to cover this. Any more consultation will not reveal what has already been made abundantly clear. Investment in quality early education works. With an election due next year, Senator Birmingham may have less than a year to make his mark on childcare. With that timeframe, we shouldn’t have to wait too long to see what direction he and the new PM will head in. It’s been a whirlwind week. Almost every political analyst in the country is predicting the end of Tony Abbott’s Prime Ministership, sooner rather than later. After years of crowing over the ALP’s internal squabbles, the LNP is finding out firsthand how quickly things can implode. But I may have just reached the level of my credulity. Minster for Social Services Scott Morrison has made policy decisions that are sensible, obvious and may possibly result in better outcomes for children and families. I’m pinching myself to make sure I’m not dreaming. In quick succession, Morrison has all but confirmed that the 1.5% levy on large businesses initially earmarked to pay for Tony Abbott’s signature Paid Parental Leave scheme will be redirected to better targeted childcare assistance. He has cancelled the ridiculous (and ridiculously expensive) “Stronger Families” program and will redirect the $17M to frontline social services. He has also postponed proposed changes to Family Day Care regulations that would have affected FDC educators enrolling their own children. When Scott Morrison was announced in December as the new Minister responsible for childcare (as part of a revamped Social Services portfolio), it is fair to say that positive and reasoned decision-making was not the first thing that we were expecting. His time as Minister for Immigration and Border Protection was marked by the relentless and harsh treatment of vulnerable asylum seekers, including children. Using blunt force and operating largely outside of Australia’s ethical, moral and possibly legal obligations, Morrison is credited with “solving” the problem of the boat people. Given dominant Australian attitudes to asylum seekers, this was never going to cause him any real problems. Most Australians wanted this to happen, and Morrison seemed to revel in the backlash amongst social justice campaigners and advocates. My initial thoughts in December was that this approach would fall flat on its face with social policy. Australians have no problem at will harsh and damaging measures directed at “irregular maritime arrivals”, but would not countenance similar measures at home. To my surprise, Morrison seems to have quickly realised this. There are few potential options worth considering with regards to these seemingly significant change of approach. The first is that Morrison is the first real indication of the Government’s overall “reset” to its political approach. Working closely with Tony Abbott and the rest of the Cabinet, Morrison is evidence that the Government will significantly and fundamentally recalibrate its way of doing business. The second (and, to my mind, far more likely given the last week), is that Morrison is re-positioning his political image as a moderate as part of a potential run at the Liberal leadership. 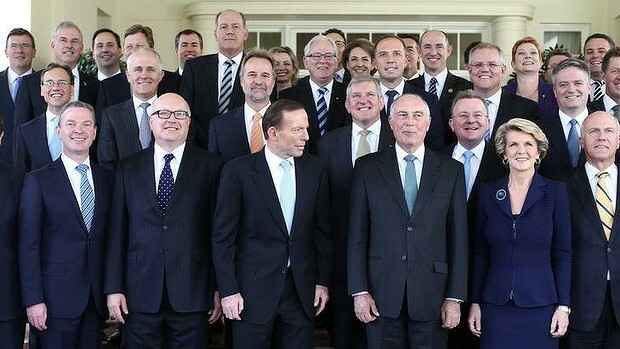 Morrison is considered one of the only three real contenders to replace Abbott, along with Julie Bishop and Malcolm Turnball. Of the three he’d be last in the running by most estimates. Positioning himself as a moderate on these issues during this time is a politically smart move for Morrison, particularly if Abbott is determined to dig in on his current approach. We’ll know more after Tony Abbott’s address to the National Press Club tomorrow, but regardless of all the speculation in this post, we can at least be certain that Scott Morrison may be very surprising in his new role – and not in the way we had all assumed. Early childhood education and care has been moved out of the education portfolio. Our new Federal Minister has a track record in blunt, non-consultative decision making (as well as locking up children on remote island prisons). In general, the Federal Government is buffeted by distractions and “gaffes” of its own making. On the face of it, it’s hard to be positive about the likelihood of any positive reform to Australia’s children’s education and care sector. The current Government is firmly opposed to any budget increase to this area, and appear far more focused on “crackdowns” on a minority of operators and services engaging in financial misbehaviour. However, despite the noted cynic I am, I determined to find some positives. And it turns out, there’s a big one. The Government has to get this right, or their current woes will seem tame by comparison. Australia’s child care sector is one of the most expensive for families in the OECD. This has inevitable flow-on effects to workforce participation (particularly for women), and has a demonstrated impact on Australia’s overall economic performance. The Coalition may be ideologically opposed to Government funding of child care (as Mums have always done it for free), but they are now in the absolute minority on this issue. Access to affordable, high quality child care is now a necessity. In a short space of time, it will be seen as a right. The Government have repeatedly laid the blame for the sector’s woes at the feet of the previous Labor Government, but that window of opportunity has now closed. This is now firmly the problem of this Government. Given their current woes, they will be desperate for a big win. What better area than the one that is a pressing issue for a huge number of families? Medicare backflips, knighthoods and all the rest would recede pretty rapidly into the distance if the Government announced sweeping reforms to the child care sector that maintained (and extended) quality outcomes for children, while improving accessibility and affordability. Is this likely? Perhaps not. But it should be remembered that Tony Abbott has already had to back down from his “signature” Paid Parental Leave policy, with the expectation that some of this money will go to addressing child care issues.There are even reports on the day I post this that the Government is still working through its plans on this. If we’ve learned anything about this Government, months and months of hard-faced insistence that their policies will be enacted are pretty easily forgotten when they are backed into a corner. Over a million children are now utilising some form of child care in this country. All of them have their own challenges (major and minor) navigating Australia’s complex system. That’s a lot of voters ready to put pressure on the Government. Failing to adequately address accessibility and affordability issues will be an unmitigated disaster, both for the sector and for the Government. Even maintaining the status quo with some tinkering at the edges won’t cut it, given that Abbott has committed 2015 to being the year of family policy. But positive reform of the sector, improving accessibility and affordability for all and bringing the child care sector into the 21st Century would be a huge victory for Tony Abbott on this front. It’s not hard to imagine that a win that size would not be tempting for him. So keep that flicker of positivity alive in 2015 – and keep an eye on the Government’s desperation levels. MORRISON: Good afternoon, everyone. I’m thrilled with my appointment as the Minister responsible with implementing this Government’s much-needed reforms to the social and community sector. I’m particularly excited to get to grips with child care, something I’ve had some limited, mostly island-based, experience in. Well, limiting for the children anyway. I want to assure the Australian people that I will be bringing the same clear, decisive leadership I brought to the Immigration portfolio right over to child care. I think I’ve demonstrated that I care a great deal about the education of every child, whether they’re in a tent or a cell block. MORRISON: Sorry, children – still getting my head around the new terminology, folks! – the days of children swamping our child care system are now over. I have statistics that under the previous Government, over 1 million children were swamping the borders of our child care centres. JOURNALIST: Minister what do you say to those who say seeking early education is a human right and is entirely legal? MORRISON: Well look I’m not going to run commentary on the usual bleeding-heart nonsense that goes along with these debates. I’ve got a job to do and I’m getting on with it. But the current rate of arrivals in child care clearly cannot continue. I think the voters would agree that we have been given a strong mandate to implement our policies. Particularly the ones that harm children, they voted for those ones specifically. JOURNALIST: Minister are you worried about how these policies are perceived by the international community? Australian early education takes in a small amount of children compared to other developed countries. MORRISON: Let me be really clear here, Australia is a generous and respected member of the international community. But I will not stand by and let that generosity be taken advantage of by these illegal, queue-jumping children! Australia has a proper process and system to access early education that must be followed. JOURNALIST: What is that process again? MORRISON: Be rich and hire a nanny. Not that hard, people! Now, in terms of other significant policy changes we will be introducing. Assessment & Rating of services will now be streamlined from the current 7 Quality Areas and 58 Standards to three questions. A determination is then made by myself, with no capacity for review. Should speed things up quite a bit, we reckon. I’m confident that we will succeed very shortly in stemming the tide of young children receiving an education. No further questions, ever. As in many policy areas with this apparently “consultative” and “listening” Government, it seems that everyone else in Australia (including the majority of his own party) came to this realisation many, many months ago. Tony Abbott’s stubborn determination to hang on to the original “Rolls-Royce” version of the PPL was turning in to some sort of ongoing performance-art piece on political incompetence. It’s important to note however that no actual details have been provided regarding any redistribution of funds from PPL to childcare. Presumably Cabinet s sifting through the Productivity Commission’s report into the sector, utilising its incredibly broad and diverse breadth of experience in these kind of issues to develop sensible and considered policies. Various media outlets are reporting that the “tinkering” will see significantly less money spent on women earning $150,000 and over, with the savings essentially redirected into funding nannies and other in-home care arrangements. I’ve written before about the complications that would ensue from simply pushing for more nannies. Clearly, the best solution to the issues facing the childcare sector is a well-funded, high-quality and easily accessible early childhood education and care sector. A significant redirection of funds into Long Day Care in particular could reap significant benefits. We’ll likely know a lot more in early 2015. But given the Government’s track record in other policy announcements, we’ll likely wish we didn’t know a lot more in early 2015. The Productivity Commission’s final report has been submitted to the Federal Government. The Government does not have to release the report until March, and the Government’s policy responses will not be seen until the run-up to the next Budget in May. The report, and the decisions taken by Government next year, will have far-reaching and long-term implications for the children’s services sector. Many of the Commission’s recommendations are unlikely to be taken up by Government, but we won’t know which until next year. Two broad reforms seem like they are done deals however – subsidising nannies, and a new means-tested subsidy to replace the Child Care Benefit (CCB) and Child Care Rebate (CCR). I’ve written about subsidised nannies before, so I thought it was time to tackle the thorny issue of childcare subsidies and means-testing. A huge number of formal submissions and comments to the Productivity Commission earlier this year clarified what anyone who had any experience with Australia’s childcare sector already knew: the current dual-subsidy CCB/CCR system is a nightmare of Byzantine bureaucracy that confuses and frustrates anyone who comes into contact with it. International experience demonstrates a wide variety of funding models for childcare that range from user-pays all the way to completely subsidised by Government. The Australian system is so complex you have to wander if it was deliberately designed that way. Successive Governments have failed to address this, despite a few very good models proposed by independent organisations (such as this one by PricewaterhouseCoopers; and this by UNSW’s Social Policy Research Centre). In its Draft Report, the Productivity Commission proposed the replacement of the CCB and CCR with a single, clearer subsidy system. At this basic level, no-one can argue that this is not sensible policy. Where the arguments begin is with the notion of means-testing. Essentially this means that those on higher incomes receive less of the subsidy so that those with lower incomes receive more, and pay far less to access a childcare service (I am no economist, so please forgive the rather huge generalisation!). The Commission’s proposed model would see 90% of a the fees for a family earning under $60,000 a year covered – while families earning over $300,000 would get just 30% back, with a sliding scale in between those two points. Since the release of the draft report, there has been a fairly large push back against the idea of means-testing any single childcare subsidy. The usual catchphrase of “class warfare” has been thrown around, and various reports have been made on who would be worse off and by how much. Certainly, the Commission’s proposed model is not perfect. It includes the notion of a “deemed cost” per hour of providing childcare in Australia. Trouble is, ask 10 different people what the deemed cost of providing an hour’s worth of childcare in Australia costs and you’ll get about 17 different answers. The subsidy does not also take into account the radically different fees that people pay in different parts of Australia. The impact of the means-test for those paying for childcare in the centre of Sydney will be significant for many on families what would nominally be a “high-income” Any new subsidy that the Government introduced next year would have to address these issues in some way. But the overall point is clear – given the current Government and their stated budgetary aims, a means-test is the fairest and most equitable way to ensure access to quality early learning for the children who would most benefit. I am firmly of the view that access to childcare should be seen as a right for children, just the same as a primary and secondary education. It should be free to access and completely funded by the Government. Until that far-off day however, the proposed means-test is an option that will allow the children of low-income families to more easily access a childcare service. We know that quality early learning is of the greatest benefit to children from disadvantaged or vulnerable backgrounds. We also know that a Coalition Government is unlikely to be proposing wide-ranging reforms that open up access to children from those backgrounds. Early learning advocates should be supportive of the means-test, at least in principle. Australia is never going to be run using the Scandinavian model, where public services are highly subsidised through high levels of taxation. We are always going to be attempting to balance a desire for low taxation with high expectations for our public services. I will continue to advocate for fully-subsidised universal access to childcare, particularly for those children who most need access to it. But I’m also a realist. That vision is decades away if it happens at all. A means-test in principle allows for those who can most afford it to support those who do not have the means to do so. If we cannot apply that principle to early learning, than we are truly stuck. As I discussed above, the means-test model for childcare is not perfect. There will be (to use the frustratingly reductive political and media language) “winners and losers”. But as it stands, this is the best we can hope for given the current Government and its economic values – particularly given that the “winners” are likely to be those who most need a win in this area. Now this post has focused on the issue of the means-test mainly as a win for low-income families, but it’s important to remember that the proposed new subsidy recommendation is alongside others that dramatically disadvantage those same families. Changes to the work-activity test could lock a huge number of children out the system, as will reductions in the JETCFA scheme. These changes should be strongly opposed by advocates. The precise details of the means-tested subsidy also need to be clear and flexible so as to ensure that families paying high fees are not significantly disadvantaged. Advocacy in this area should not be simply railing against the idea of a means-test. It should be focused on advocating for a system where a means-test of this kind is not necessary. It should be targeted on getting the Government to overturn its ridiculous commitment to keeping any policy changes within the current budget allocation. Even Clive Palmer is now insisting that the Government shift budgeted funds from its expansive Paid Parental Leave scheme to the childcare sector! Actually, the Paid Parental Leave debate provides an interesting parallel to childcare funding. Opponents have argued the PPL is inequitable because it provides the bulk of money to high-income families at the expense of low-income families. A means-test for childcare can ensure that the opposite happens. Those who are opposing means-testing of any kind are holding out for a “magic” policy that will not be anywhere in evidence from this Government. It is sensible to support this measure in the short-term while continuing to advocate for the broader structural changes that are still needed.